Funeral services for Mr. Otis Paschal, Jr. of Americus, GA will be held on Wednesday, March 27, 2013 at 11:00 A.M. at the Old Shady Grove Baptist Church with Rev. Jesse Watts officiating. Burial will follow at the Andersonville National Cemetery. 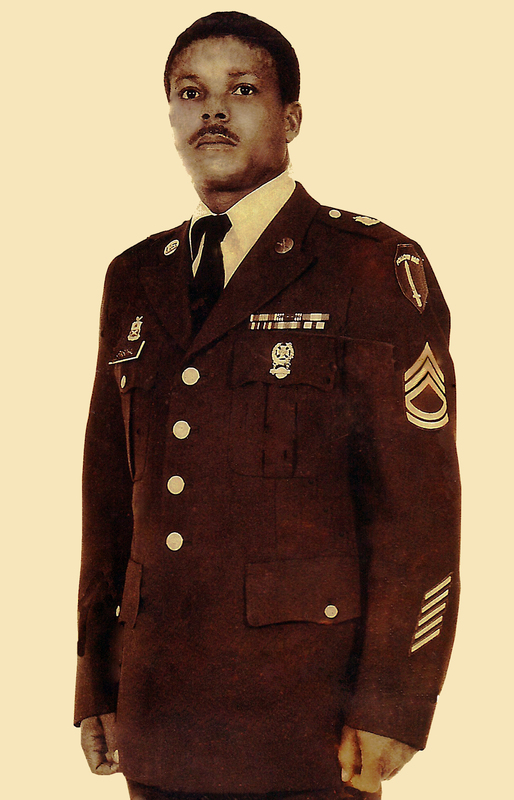 Sergeant First Class Retired Otis Paschal Jr. was born on February 19, 1952 in Sumter County, Georgia to the late Mr. and Mrs. Otis Paschal Sr. He attended Sumter County High School and South Georgia Technical College in Americus GA. He joined Old Shady Grove Baptist Church at an early age. He served in the U S. Army for 20 years where he completed and received a Diploma the Advanced Noncommissioned Officer Course. He was awarded a Certificate of Appreciation for outstanding service to the Nation as a United States Army Soldier, also A Certificate of An for being selected as instructor of the cycle, class number 31-82. Otis was affectionately known as “Sarge” to all his friends and family because he was a true soldier even after he retired. Sergeant Paschal passed from labor to reward on Friday, March 22, 2013 at Phoebe Sumter Hospital in Americus GA.
Memories of Sarge will be cherished by his wife Jennie M. Paschal; his five children: Minister Cassandra (Minister Marcus) Jordan of Valdosta, GA, Garrick Paschal and Brandie Paschal of Albany GA. Kerry Paschal (Tiffany) of Lake Alfred FL. and Zerrick Yarnell (Shamika) Lake of Canton Michigan; four grandchildren: Jessie, Katlan, Arianna and Alana; three step children: Denise Stephens, Corey Brown both of Americus GA and Melvin (Angela) Stephens of Covington GA; two brothers: Joseph Paschal of Americus GA and Milton Paschal, Montezuma GA; four sisters: Florence (Bobby) Royal and Annie Pinder of Miami FL, Christine Phillips of Louisville Kentucky and Shirley Jones of Americus, GA; five sister-in-laws: Freddie L. (Pastor Johnie) Evans, Ms. Jeraldine Hoston, Mrs. Sherline (Reginald) Williams, Mrs. Nettie (Kenneth) Hall and Ms. Regina Tullis all of Americus, GA; four brother-in-laws: Mr. James (Mae) Tullis, of Decatur, GA. Mr. Clyde (Tracia) Tullis, Mr. Elias (Yvonne) Tullis of Americus, GA and Mr. Clarence (Ruby) Tullis, Albany GA; two aunts including a devoted aunt Mrs. Eula Breedlove of Americus GA and Ms. Irene Jones of Miami FL; four uncles: Johnny Paschal of Americus, GA, Bobbie Paschal, Eldridge Paschal and Reverend Moses (Jean)Paschal all of Miami FL; three devoted friends: Deacon David Davis, Joanne Floyd and Bishop John Floyd all of Americus, GA. A host of nieces and nephews and relatives also survive. Graveside services for Mrs. Ethel Lee Mathis age 94 of Americus, Georgia will be held on Saturday, March 23, 2013 at 2:00 P.M at the Oak Grove Cemetery in Americus, Georgia with Rev. Freddie Mann officiating. Mrs. Mathis died on Tuesday, March 19, 2013 at the Phoebe-Sumter Medical Center. Mrs. Ethel Lee Patrick Mathis was born in Leslie, Georgia on March 6, 1919 to the late Mrs. Strawdie Hall Patrick and the late Mr. Cleveland Patrick. She was married to the late Mr. Jessie B. Mathis. Mrs. Mathis was a homemaker and a long time member of the Campbell Chapel A.M.E. Church. She was preceded in death by six sisters: Ms. Geneva Flint, Mrs. Annie Roberts, Mrs. Strawdie Marsh, Mrs. Sallie Mathis, Mrs. Bertha Lee Mann and Mrs. Katie Gaines; four brothers: Mr. Cleveland Patrick, Mathis “Red” Patrick, Mr. West Patrick and Mr. Richard Patrick; two sons: Mr. Jab Mathis and Mr. M.C. Mathis; and one daughter-in-law, Mrs. Omelia K. Mathis. Mrs. Mathis died peacefully on Tuesday, March 19, 2013 at the Phoebe-Sumter Medical Center in Americus, Georgia. She leaves to cherish her memory a loving and devoted daughter, Mrs. Lois Battle and son-in-law Deacon Clinton Battle of Americus, GA; two sons: Allen Mathis of Atlanta, GA and Jessie B. Mathis, Jr. of Americus, GA; one sister, Mrs. Ella Ruth McBeth of Miami, FL; six grandchildren: Jeaneen, Rodney and Jacqueline Mathis all of Decatur, GA, Marcus Gooden of Kennesaw, GA, Felicia Gooden of Americus, GA and Jessica Kelly (Tramaine) of Albany, GA; six great-grandchildren: Dionca Gooden of Nashville, TN, Kamala Johnson of Atlanta, GA, Megan and Marissa Gooden of Kennesaw, GA, Jarrett Randall and Jocelyn Sims both of Americus, GA; one sister-in-law, Mrs. Rosie Patrick of Americus, GA; A family friend Ms. Dexter Grady of Atlanta, GA. Several other nieces and nephews also survive. Joyce Margaret Rose Larkins Fitzgerald, 77, died, Monday, March 11, 2013 at her home in Oglethorpe, Georgia, attended by loving family members. Joyce was the first child of John Larkins and Helen Moulton Larkins, born on July 14, 1935, in Sioux City, Iowa. She attended Our Lady of Good Counsel school in Fonda, Iowa, and married Michael E. Fitzgerald on June 19, 1952. They lived with their children in Illinois, Germany, Nebraska, California, and Iowa before moving to Georgia in 1975. She was beloved wife, mother, grandmother and great-grandmother, sister, aunt and great-aunt. Mrs. Fitzgerald worked for the Procter & Gamble Company in Oglethorpe, Georgia, from 1980 until her retirement in 1998. Joyce is survived by her husband Michael Fitzgerald of Oglethorpe, son Douglas Fitzgerald of Oglethorpe; daughter Kimberly (Randy) Barron of Joliet, Illinois; son Stanley Fitzgerald of Altoona, Iowa; son Craig Fitzgerald of Ellaville; and sons Kevin Fitzgerald and Brenden Fitzgerald of Oglethorpe. She also leaves behind grandchildren Gretchen Fritz of Plainfield, Illinois; Glynka (Matt) FritzMiller of Gilbert, Arizona; Curtis Culbert of Waterloo, Iowa; Joshua McDill of Charleston, SC; Brenden Fitzgerald, Jr. of Oglethorpe, Georgia; and Ian Conor Fitzgerald of Altoona, Iowa. Joyce also leaves great-granddaughters Elsa and Annika FritzMiller and great-grandson Emory FritzMiller, all of Gilbert, Arizona. Mrs. Fitzgerald was preceded in death by her father, mother and baby sister Delores. She is also survived by her siblings Patricia (Steve) Moore of Rockwell City, Iowa; Phillip (Doris) Larkins of Ankeny, Iowa; Jeanne (Patrick) Condon of Oldsmar, Florida; and Mary Maxwell of Gainesville, Florida; and numerous nieces, nephews, great-nieces and great-nephews, as well as dear friends. Joyce was preceded in death by her grandsons Shaun Paul Fitzgerald and Lance Tyler, and her great-granddaughter Annelise FritzMiller. Mrs. Fitzgerald’s remains were cremated, and there will be a memorial Mass at St. Michael’s Catholic Church in Montezuma, Georgia, on Saturday, March 16. A memorial Mass will also be celebrated at Our Lady of Good Counsel Catholic Church in Fonda, Iowa, in July of this year. Joyce’s ashes will be interred in the plot with her parents at Mount Zion Cemetery in Fonda. Funeral services for Mr. Jeffery Keith Hurley of Americus, Georgia will be held on Saturday, March 16, 2013 at 11:00 A.M. at the Zion Hope Baptist Church with Pastor George F. Monts officiating. Mr. Jeffery Keith Hurley affectionately called “Jason” or “Hilon” was born in Sumter County Georgia on December 27, 1971 to Mr. Rudolph Hurley and Ms. Daisey Hurley. He received his education at The Sumter County High School at an early age, he joined St. Paul A. M. E. Church. Later he moved his membership to Zion Hope Baptist Church and served faithfully until God called him home. He enjoyed fishing, working on cars and lending a helping hand to others. He was preceded in death by his grandparents: Mr. William Patillo, Mrs. Flora Bell Patillo, Mr. James Hurley & Mrs. Ruby Dean Hurley; one niece, Ms. Shaquta Hurley; father-in-law, Anthony Bruce Cleveland and one aunt, Mrs. Martha Wilson. He leaves to cherish his memories; His wife, Mrs. Tomeka Hurley, one daughter Shadayea Williams of Americus Georgia; two sons: Mr. Jeffery Hurley Jr. & Mr. Ouantavious Hurley both of Americus, GA; one sister, Theresa Johnson (Kenney); three brothers: Mr. Christopher (Kathy) Hurley, Mr. Micheal Hurley (Kola) and Jousha Jackson; three sisters-in-law: Mrs. Tammy (Vernon) Turnbull, Ms. Kenya Hill both of Americus, GA and Ms. Crystal Cleveland; one brother-in-law, Mr. Gregory Cleveland; mother-in-law, Ms. Gwendolyn Williams; father-in-law, Mr. Johnny Galloway; twelve aunts: Ms. Viola Patillo, Mrs. Irene (John) Little, Mrs. Mollie Murphy, Ms. Mary Tullis all of Plains Georgia, Ms. Carrie Morgan, Ms. Annie Ruth Muff, Ms. Rosia Butler, Mrs. Freddie Ann Bailey (Collie Clark), Ms. Gloria Hurley, Ms. Annie Ruth Tullis and Ms. Sue Hart all of Americus GA, Mrs. Hazel (Bro) Harp of Oglethorpe GA; nine uncles: Mr. Arthur (Tammy) Patillo, Mr. John (Gloria) Hurley, Mr. Charles Hurley, Mr. Victor Williams, Mr. Leonardo Williams, Mr. Bernard Banks, Mr. Amos Carson all of Americus Georgia, Mr. Larry Carson and Mr. Harry Carson both of Plains Georgia; six nieces: Ms. Tiffany Sims, Ms. Shabriekia Sims Ms. Mazaiyha Hall, Ms Asia Harden, Ms. Ashely Bateman and Ja’nieah Jackson; five nephews: Mr. Deonta Hurley, Mr. Christopher Hurley Jr., Mr. Jonathan Hurley, Mr. Keith Harden and Mr. Rafael Woolfora. A host of cousins & friends including devoted friends Tawanda Hurley and Eula Streeter.